We would like to welcome all our children back after our half term break. We hope that you have all had a lovely time and that the children are ready to do lots of exciting things. There is lots to celebrate this half term with Halloween, Bonfire Night and then of course Christmas! The children will also be preparing for our Christmas concert with Reception. 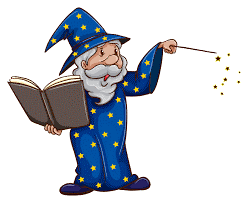 Our learning adventure this half term will be based on witches, wizards, and magic. The children will make their own witch’s hat and magic wand to use as they create their own spooky potions and magic spells! This week the children have been learning all about Autumn and how the season is changing. They went on a Autumn walk outdoors to find signs of Autumn and collected red, yellow and brown leaves. They took photographs of what they found with the tablets and explored creating leaf rubbings and leaf printings. They listened to the story It Was A Cold Dark Night and enjoyed helping Ned the hedgehog find his home. The children learned all about how animals get ready for the cold winter months and what the word 'hibernate' means. They made their own spiky hedgehogs using the playdough and other materials and rolling conkers in trays of paint. The children made beautiful autumn tree pictures finger painting the given number of each coloured leaf onto their trees. They went on a Halloween hunt outside with their friends to find all of the Halloween pictures and marked them off on their clipboards. They also created their own spooky pumpkin faces using lots of 2D shapes. The children were very excited to talk about their Bonfire Night experiences this week! They watched a Bonfire Night display and talked about all of the different fireworks they could see and hear. They children talked about which one they liked the most and explored making firework sounds with musical instruments and movements with their bodies. They learned the song 'Five Little Fireworks' and enjoyed counting along and matching the numicon to the number. They searched for fireworks outside for Mr Cockroft and counted how many they had found. The children created their own firework pictures using the paint programme on the tablets and on a large scale outside by sprinkling powder paint onto paper, dripping and splatting paint using a paintbrush. The children enjoyed getting very messy and produced some amazing artwork too! The children listened very carefully to instructions and made their very own tasty chocolate apples, dipping them in sprinkles! Yummy! It was a tasty way to finish our Bonfire Night learning adventure! After returning to Nursery after the half term holidays the children found an object in the classroom....A broken broomstick! With it was a note attached with a clue of where to go to find out who it belonged to. The children went on a trail looking for clues and collected lots of pictures that helped them to find out that it could be a witch who had lost it! Miss Pickering and Miss Munro then told us that something strange had happened...They had seen a witch flying through the sky! They took a photograph and sent to to us for us to look at! The children decided that the broomstick must had belonged to her! They thought about what she looked like, labelling her and describing what she looked like. This helped us to return the broomstick to her. The children then compared the length of broomsticks, saying which were long and which were short. They also made the witch some beautiful new tights with all different types of patterns on them so that she looked different to all of the other witches! This week the children received a letter from the witch saying thank-you for returning her broomstick to her! The witch asked the children if they could help her to mend her broken broomstick by counting out some ingredients from her potion list and putting them into her cauldron. The children were very good at counting out eyeballs, bats, spiders and fingers! They said a spell and had their fingers crossed that the spell would be magic! Why was the broomstick broken? The children thought carefully about why the broomstick might have broken and received a telephone call from the dog helping them to think of some ideas too! 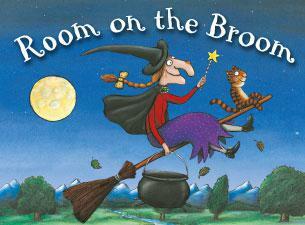 They then read the story The Room On The Broom to find out the real reason why the broomstick broken. The children joined in with the repeating parts of the story and put the animals in the order that they sat on the broomstick. 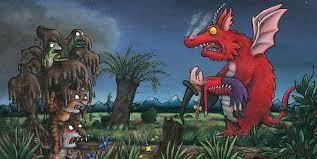 This week the children thought carefully about how the dragon behaved towards the dragon and whether or not he was a nice dragon. They thought about how he made the witch feel and what he could do to make the witch be his friend again. They made their own bubbling potions using vinegar, glitter, food colouring and bicarbonate of soda and some magic words to scare the dragon away! The witch's pet spider was made lots of new spider web homes by the children. They cleverly threaded wool through the holes in the card to create a cobweb effect. They also explored rolling marbles across white paint to make fantastic cobweb paintings. The children then made their own witches brew jelly ready for a party held by the witch herself!